The Prince of Wales visited the Coptic Orthodox Church Centre at Shephalbury Manor, Stevenage with Prince Ghazi bin Muhammad of Jordan. Prince Charles and Prince Ghazi attended a brief service and met young people who volunteer for the church’s homeless ministry. In a speech he made to churchgoers and officials, he said: “It has been a privelege to come to Stevenage to join you in witnessing a small part of a Coptic Christian service, as well as the strength of its supporters in their dedication to their beliefs. 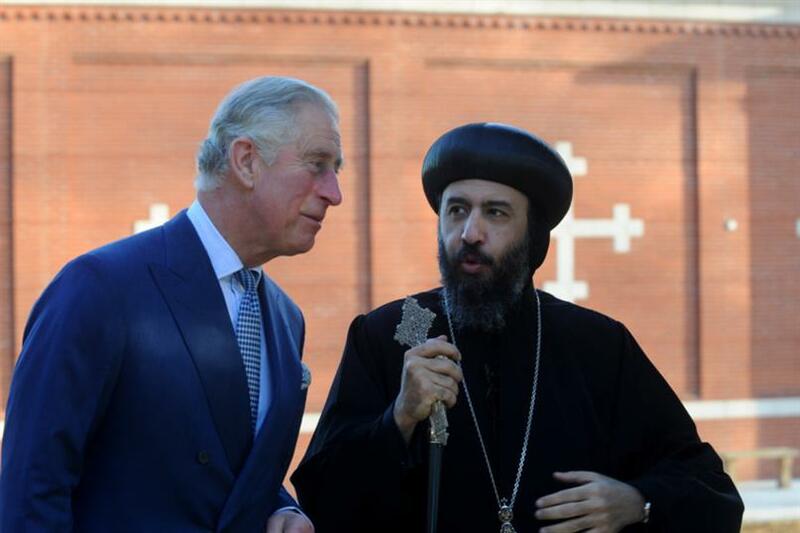 On arrival, the two princes were welcomed by The Lord-Lieutenant of Hertfordshire, The Countess of Verulam, The Lord Bishop of London, The Right Reverent and Right Honourable Richard Chartres and the General Bishop of the Coptic Orthodox Church in the United Kingdom, Bishop Angaelos. The Coptic Orthodox Church has the largest Christian presence in the Middle East, with approximately 15 million members in Egypt, representing about 15 per cent of the population.